AstronSCIENTIFIC is a tech company based in Barcelona, ​​founded with private capital. ROTARION is the first automatic eyepiece changer in the market, with patent reference EU P27156EP00 / US P27156USEP. ROTARION changes 4 of your favourite eyepieces on your telescope automatically, without touching your telescope, without disturbances in the positioning or misalignment of the optical axis among eyepieces and without affecting your telescope’s alignment or tracking. Is ROTARION for my telescope? 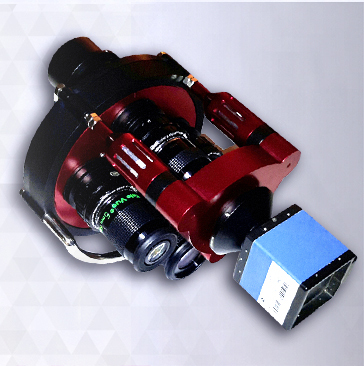 ROTARION is compatible with all telescopes that are currently marketed. Does ROTARION work my eyepieces? 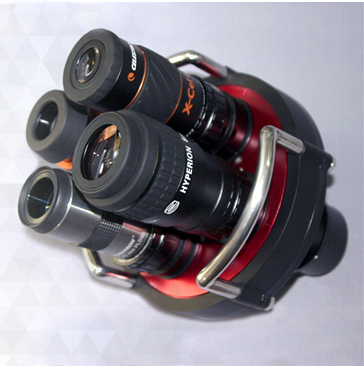 ROTARION is compatible with all eyepieces 1.25″ found in the market. How can I transport ROTARION? ROTARION is a high precision technological product and therefore extremely sensitive. The ROTARION CASE made of aluminium is available to prevent any damage during storage or transportation. What maintenance does ROTARION need?